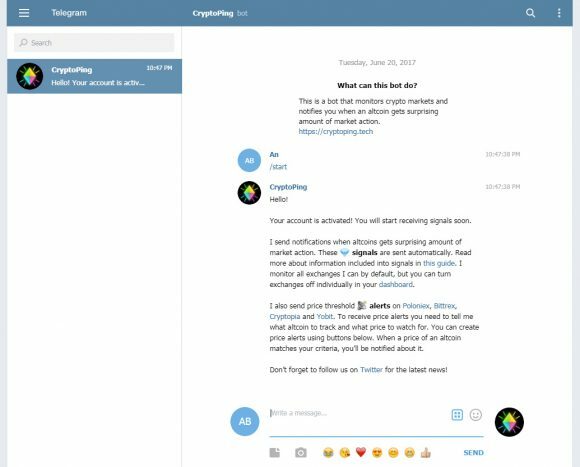 Currently the Telegram bot supports monitoring for the following exchanges: Poloniex, Bittrex, Cryptopia and Yobit and gives you signals for the coins traded on them hinting at profitable trades before any pumps actually start. 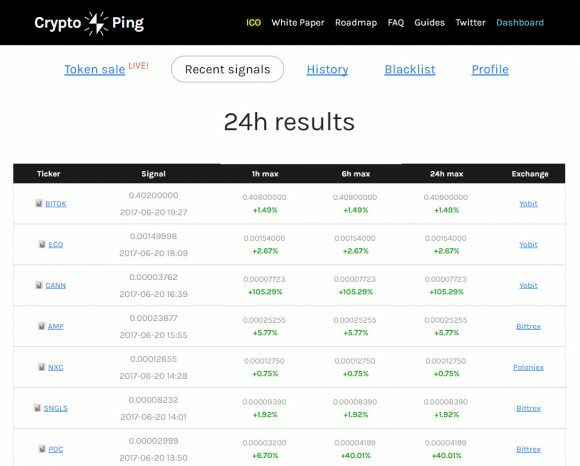 Although the Crypto Ping service is free to try at the moemnt it is also in the process of running an ICO to secure some funds in order to continue the development of the bot and add new features to it. After the ICO is over the tokens that will be distributed will be traded on exchanges and will also be a means to be used for the subscription fee that will be introduced for users willing to continue using the full functionality of the bot. 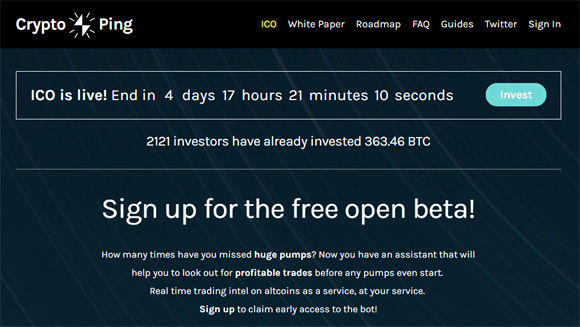 There aren’t a lot of such services available to the average crypto user that may not be too good at trading or may actually be too afraid to even try doing some trades on crypto exchanges. 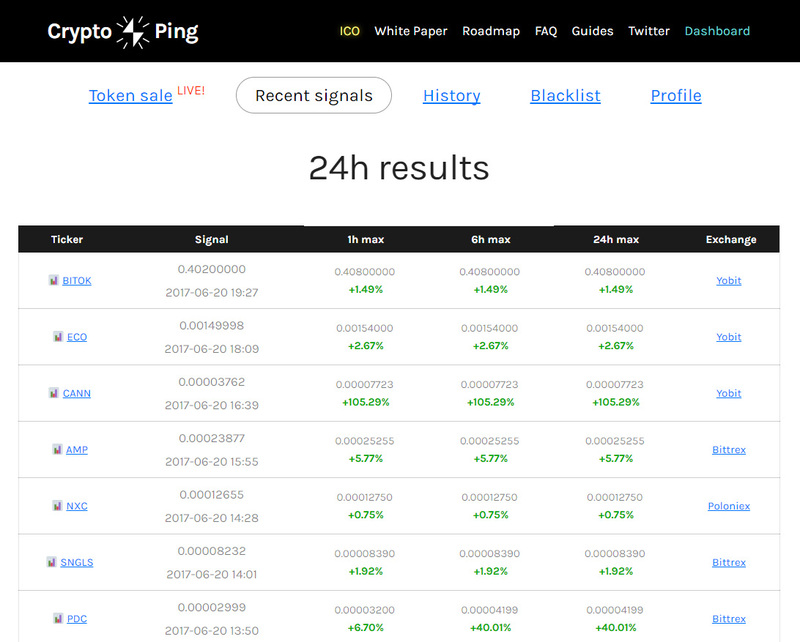 Should you decide to use a service like that one that gives you trading signals based on market analysis you should still be careful and not go all out You can just check the reliability of the signals by just doing some virtual trades and monitoring the outcome without actually doing some real trades. There is always risk involved, so some signals may not end up that good while others may be really profitable. Again, give the service a try while it is still in beta and free to use and see if it works for you or not.